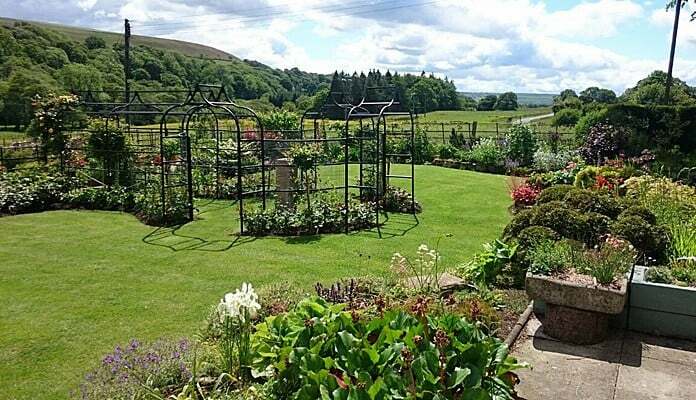 " I am very pleased with the quality of the product and a number of people asked me at my garden open day who had supplied it and I gave them the details." 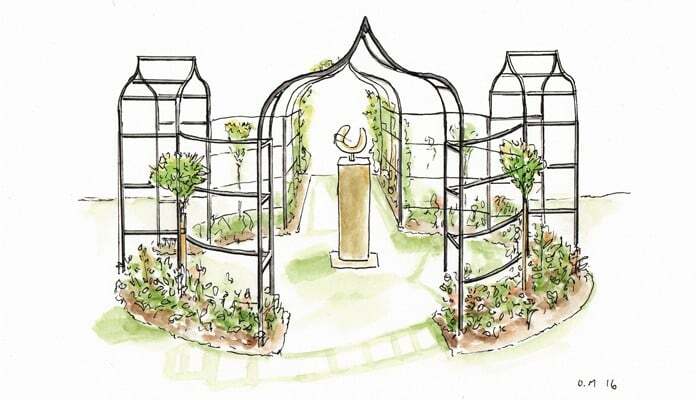 The pergola and arches are a new feature constructed in Spring 2015 so planting is young and incomplete. 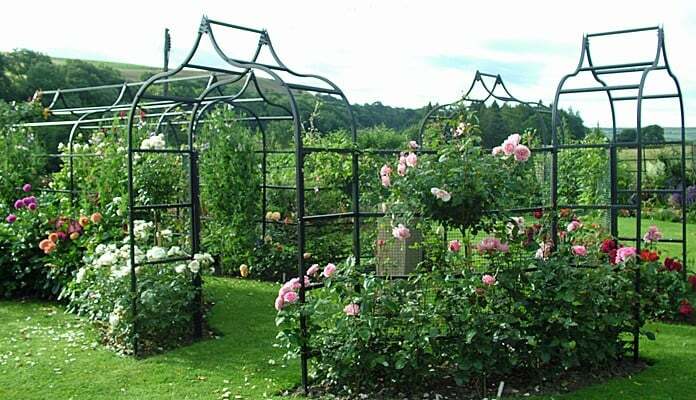 Fan trained cherries will cloth the pergola and the arbor provides me with the opportunity to extend the number of climbing roses in the garden, add some standards, hybrid T varieties and jasmines. With the bulk of hard landscaping completed, planting commenced. Plants worth retaining were lifted to clear perennial weeds and in some cases moved to current locations. Shrubs retained received renovation pruning. Shrubs and small trees have been planted to provide long term plant structure and year round interest in the garden. My aim is to have colour somewhere in the garden throughout the year. Herbaceous perennials provide different colour notes through the seasons. Fruit trees espaliered on the kitchen garden fence will reach their final tier in 2017. 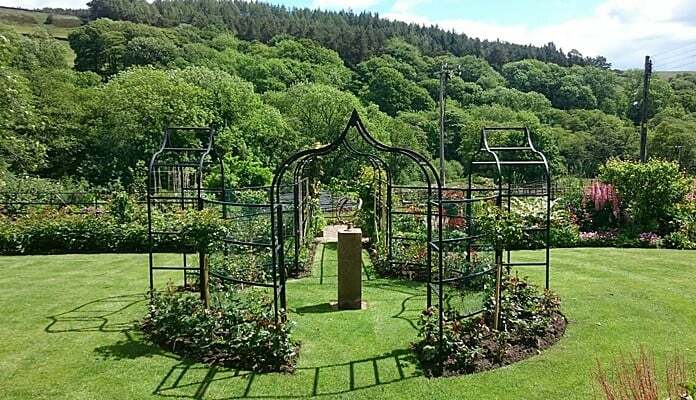 Bare rooted English shrub roses were planted in Autumn 2013 with their first summer blooms in 2014. A peony bed was completed in Autumn 2014. It will take a couple of years for these plants to flower to their full potential. The small wild flower area around the elm tree has been plug planted and commences flowering in February with snow-drops and progresses through the season with such flowers as primroses, cowslips, snakes head fritillary, bluebells, common spotted orchids, cranesbill, ragged robin and ox eye daisies. It also contains a range of grasses. It is first mown in mid August. 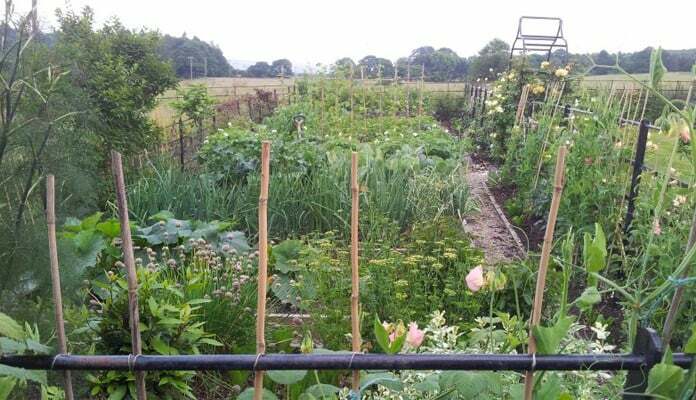 I hope to add yellow rattle, cornflower and poppies in 2015 (from sustainably resourced seed). 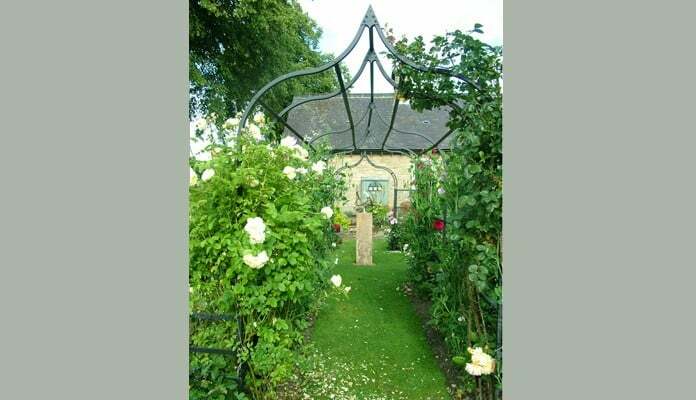 In 2015 a design was provided to the Harrod design team for 3 new ogee arches, 1 existing ogee arch adapted into an ogee pergola and connecting a circular fenced in enclosure to one end opening out through arches on all sides. 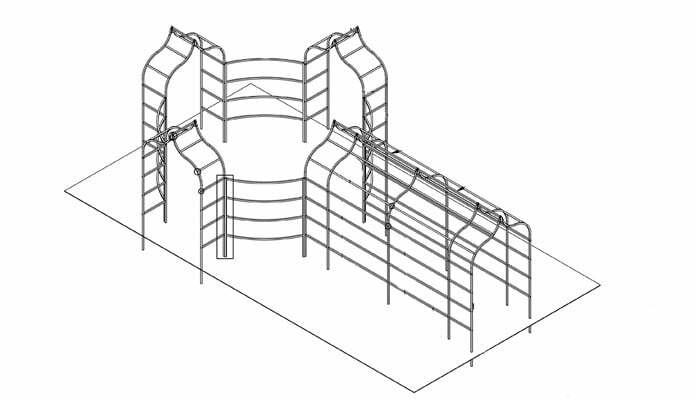 Harrod overcame numerous problems to achieve the design, including adapting an old design of arch that was already in existence on the site to enable it to be incorporated into the design, and providing a bespoke solution to enclose the space between the arches with curved fence panels. 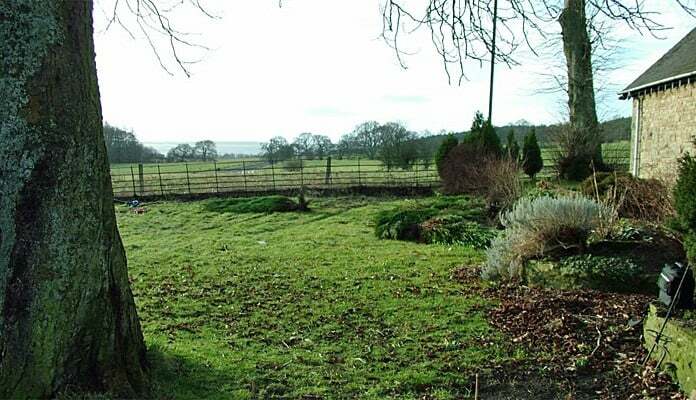 Future plans include a slate bed /rock garden which will provide an opportunity to bring together the alpines planted in various places in the garden, and to add some more." 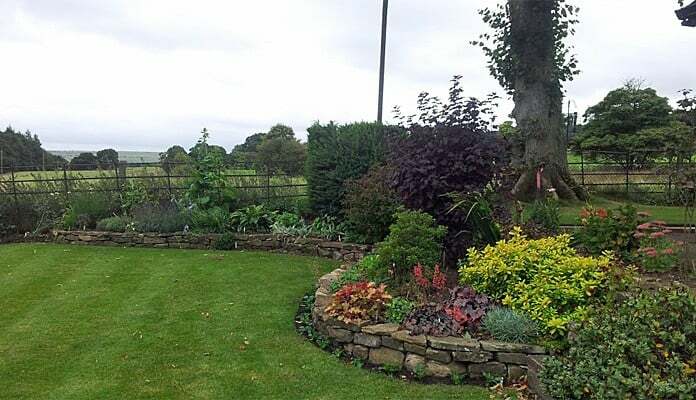 "I am very pleased with the quality of the product and a number of people asked me at my garden open day who had supplied it and I gave them the details."